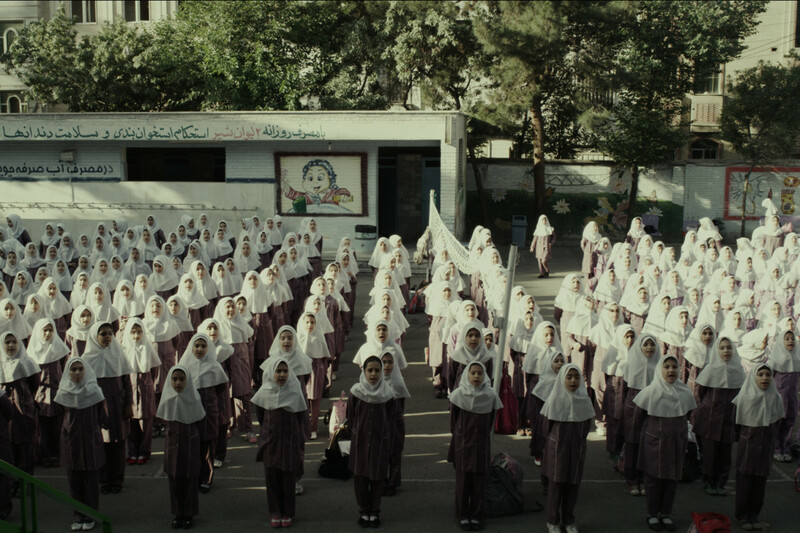 Resignation reigns supreme in this somber film about the place of women in modern Iran. 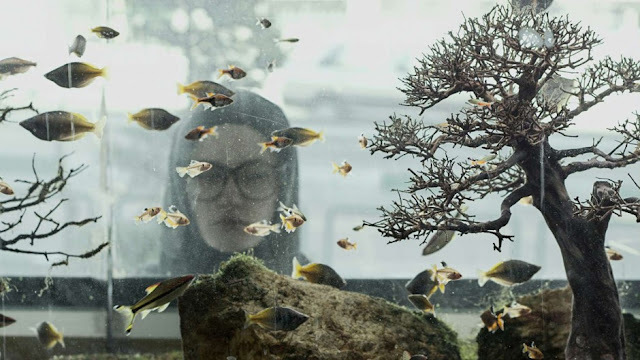 Directed by promising newcomer Sina Ataeian Dena, and co-produced by Yousef Panahi, brother of Berlin Golden Bear winner Jafar Panahi, Paradise follows the journey of a disaffected young woman, Hanieh (Dorna Dibaj), as she tries to escape the oppressive miasma of the conservative school she teaches at. Part documentary and part social drama, the most striking part of Paradise is easily its visual language: the often-used candid camera approach lends a sense of organic growth to the narrative, while the striking contrast between the outfits of the various characters with the mundane and drab palettes of the landscape evokes a certain Pop-Art yet Neo-Realist aesthetic sensibility. By interacting directly with non-actors on the Iranian streets, who are not aware of the fact that they are being filmed, Hanieh confronts the issues that the modern Iranian women faces at a basal level, exposing the true state of the body politics and policing of women from since they were youth, to their completely indoctrinated adulthood and old age. Given the somewhat blandness of Ataeian Dena’s screenplay and the ham-fistedness of his imagery, this artistic choice that favors an amorphous, and ever-present, sense of dread and urgency over that of contextualization helps to balance out the monotone that the film occasionally lapse into. Thematically, the most comprehensively covered idea in Paradise is that of moral resignation—in the opening, we bear aural witness to an interview between Hanieh and an officer responsible for approving her application to transfer from a school in the distant suburbs of Tehran to one much closer to the city, and listen in on the enforcement of a hegemonic religious tradition on an obviously emotionally-battered woman. The audience gets to watch a black screen while Hanieh is verbally hounded and queried on how much neck and ankles a woman may show: emphatically, the answer is none. Later on, even as we watch Hanieh subvert the various expectations of tradition in minute acts of rebellion, we also see Hanieh crack down on acts of dissent by her students with her own brand of self-policing words. In this case, the accused has become the accuser, and we get to extrapolate the only outcome these exchanges can have, a vicious cycle of traditionalism enforced with thinly veiled and clearly articulated threats. While Dibaj’s subdued performance is thus fitting, it also leads to the occasional lull in narrative pace, as the plot is presented at a soporific speed throughout the entirety of the film. However, viewers with patience can thus get the opportunity to revel in the immersive quality of the society depicted and the space it inhabits. The more interesting sequences of note are those involving Hanieh’s school and its all-female student populace whose acts of rejection of school laws is simultaneously envied and resented by Hanieh—we watch these hijab-clad girls discuss the hairstyle of anime character Judy Abbott and sing pop songs whilst still being so heavily constrained by the cultural framework they live in, and the effect is joyously surreal. Darker is the undercurrent that runs through the film however, as we piece together the connection between Hanieh, her behaviors, and the recent disappearance of her students, as well as the somber and reproachful tone that the adults approach their young with. All in all an admirable attempt, a meta-textual curiosity of some merit would be that of its sound. Having all of its audio material confiscated before post-production, the entirety of the soundscape of Paradise is recreated in Berlin, where every dialogue and every background sound is painstaking work by sound designer Lajos Wienkamp Marques. Paradise won the Swatch Art Peace Hotel Prize from the jury for first features and the Ecumenical Prize at the 68th Locarno film festival.